The professionals at Magnum Contracting Group are expert Long Island roofing contractors who help homeowners with their roofing and remodeling services in Bohemia. We specialize in roof repair, replacement, and brand new roof installation for all types of homes. We also offer a number of other home services for you that include kitchen and bathroom remodeling, dormers, extensions, basement remodeling, and insurance restoration from fire damage. Our entire team of contractors is dedicated to providing your with the highest level of customer service and quality products anywhere in the industry. Contact us today and let us help you with your next home roofing or remodeling project. Whether your Bohemia roof has recently suffered from storm damage or you need to replace an old roof, we can help you every step of the way. We offer comprehensive roof service that covers all aspects of the project. We begin with a full inspection of your roof in order to determine the extent of the damage and then go to work to totally restore your entire roof. When the job is done you have a brand new home roof that provides ultimate protections for everything and everyone inside your home. We only utilize roofing materials of the highest quality. You'll love our efficient service, dependable work, and affordable rates as your Bohemia roofing contractor. Get ready to give your home a total makeover with the team at Magnum Contracting Group. From roofing to vinyl siding, painting, windows, and even decks and patios we can revitalize your entire home exterior in no time at all. Tell us the vision you have for you home and we'll bring it to life with our comprehensive exterior renovation service. Are you looking to add an extension onto your Bohemia home? We offer complete room addition construction. No matter what type of space you want, we can help you expand your home both inside and out. With our room addition construction, you get a streamlined look that perfectly matches your current home design. 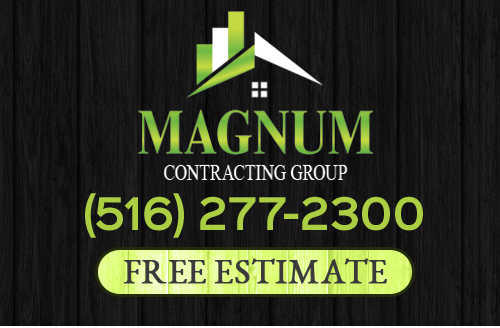 If you need roofing or remodeling services in Bohemia, NY, give Magnum Contracting Group a call today at 516-277-2300 or complete our online request form.